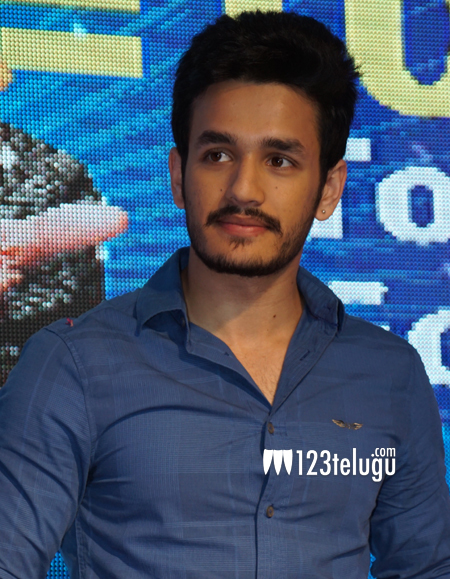 Akkineni Nagarjuna’s son Akhil’s debut film is one of the most awaited films in the Telugu Film Industry. The film was launched few days ago and according to the latest update, regular shooting will begin from first week of January with an action sequence in the Old City of Hyderabad. Currently, Akhil is busy practicing fights and he is eagerly waiting for his first day of shoot. The makers of the film are looking quite keenly for the actress. The movie will be a power packed action entertainer with a story that has been written by Damarukam fame Veligonda Srinivas and it will be directed by V. V. Vinayak. The movie is being produced by actor Nithiin and his father Sudhakar Reddy on Sresht Movies banner.